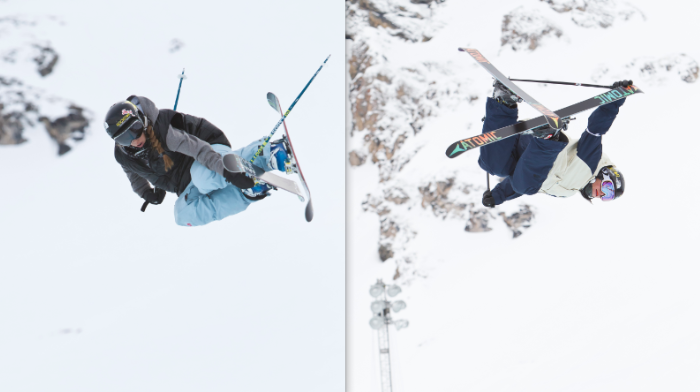 Despite strong winds and heavy snow in Breckenridge, CO on Sunday, Rockstar skiers Maddie Bowman and Mike Riddle were able to throw down solid runs and land themselves spots on both the FIS Freestyle World Cup and Visa U.S. Freeskiing Grand Prix halfpipe podiums. Maddie Bowman overcame the difficult conditions to claim first place, putting her 2nd in the overall World Cup standings. With this win, she also secured a spot on the first-ever U.S. Freeskiing Olympic team! After qualifying last due to his overall rankings, Mike Riddle took 2nd in the final, putting him 3rd in the overall World Cup Standings. Riddle had already clinched a spot on the Canadian Freeskiing Olympic team following his performance at Dew Tour Breckenridge.